Where: To buy tickets to visit NYC this weekend!! So excited! 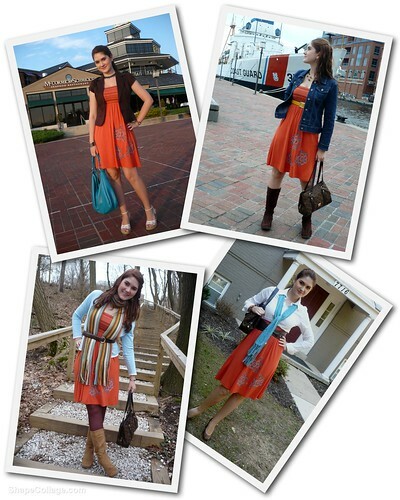 Today I decided to try a trend I have seen many people wear lately: the belted scarf! I originally saw the inspiring ladies from Academichic wear them and it sorda grew on me. So for today's outfit, they were my inspiration. I actually really like how it looks! It allows me to wear a long scarf and still have my waist defined by the belt. 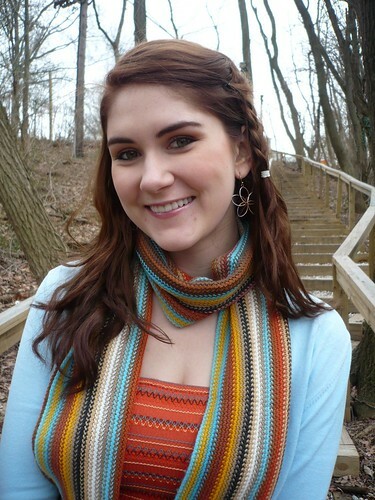 What do you think, would you ever wear your scarf belted? This outfit is so beautiful because of the color pallets you used. 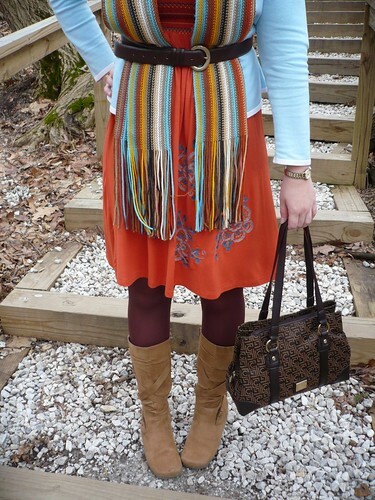 I would definitely try the belted scarf look, since you made it look so pretty in your outfit today. You really look beautiful in this outfit. I really like the belted scarf effect. I will have to try that one out myself. I love the color combos you have made with this dress. It is just great. The scarf matches perfectly with the stitching in your dress. your RSS feeds, so when I have time I will be back to read a lot more, Please do keep up the awesome jo. I wouldn't mind writing a post or elaborating on some of the subjects you write concerning here. Again, awesome web log! My blog has a lot of unique content I've either authored myself or outsourced but it seems a lot of it is popping it up all over the internet without my permission. Do you know any ways to help protect against content from being ripped off? I'd certainly appreciate it. Your weblog appears to be having some compatibilty problems in my opera browser. The wording appears to be running off the page pretty bad. If you would like you can email me at: olga_lira@freenet.